Berkshire Hathaway HomeServices Georgia Properties offers an exceptional Luxury Collection program for luxury properties. Our company is a major player in the affluent market around the globe. Georgia Properties has achieved the highest average sales price of any national franchise for the past 10 years in a row. Our affiliates are the luxury leaders in major feeder markets with buyers moving to Metro Atlanta. The digital magazine above is an innovative format that allows consumers to view high-quality visual content over the internet. The fullscreen mode is recommended for best viewing. You may also choose the single page or double page layout option. You may adjust the size of the images to fit your screen. We hope you enjoy the digital magazine format. Please contact us to learn more. 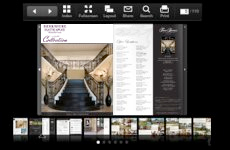 Our award-winning Advanced Property Marketing System was developed for the luxury market. Our Luxury Collection agents receive specialized training to implement this powerful methodology. It all starts with discovering the unique story of your property and then bringing that to life with beautiful images and media. Click here for an overview using our digital magazine format. Our extensive listing distribution exposes your luxury property to over 40,000 websites, video sites, mobile sites and social media sites across the globe. No other brokerage provides such broad distribution and search prioritization so your property stands out for buyers. Locally, our company is the leading brokerage on Google searches for “Atlanta Real Estate” and other relevant search terms. Our company advertises in a variety of local and national publications including the Atlanta Business Chronicle, Atlanta Journal Constitution, the Neighborhood Newspapers, Dunwoody Crier, Fine Homes International, Luxury Real Estate Robb Report, DuPont Registry and Wall Street Journal and others. Each quarter, we also distribute the latest version of our Luxury Homes & Estates digital magazine to thousands of local residents. Our company is the largest provider for relocation services in the Greater Metro Atlanta area. We have won numerous performance and service awards and help thousands of employees relocate each year. The corporate world is very active with moves to our area since corporate real estate is on sale in Metro Atlanta. The next corporate executive moving to our area just might be the buyer for your property! 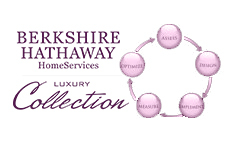 The Berkshire Hathaway HomeServices Georgia Properties Luxury Collection network is one of the largest luxury referral organizations. Our certified agents must achieve a high level of standards just to be invited into the program. Then, they must meet strict performance and educational requirements to become certified. 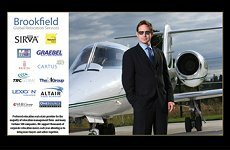 Georgia Properties is also a member of the Luxury Real Estate network. 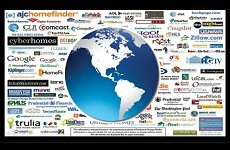 This exclusive referral network of over 1757 brokerages is the largest in the world. Member is invitation-only and is limited to the luxury leaders in each market. 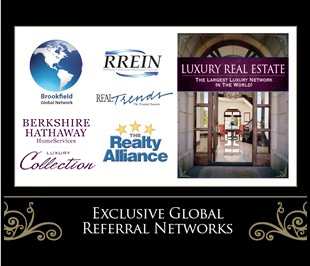 Berkshire Hathaway HomeServices Georgia Properties is also member of other large referral networks including The Realty Alliance, the RISMedia Real Estate Information Network and RealTrends. In our local markets, our company has over 1000 agents who work together to bring buyers and sellers together. We participate actively in local boards, economic development organizations and networking groups to develop relationships with agents who specialize in representing high-net-worth buyers and sellers.